Perfect gift for anybody who works in healthcare. Suitable for any occasion, a personal message can be added to the voucher. 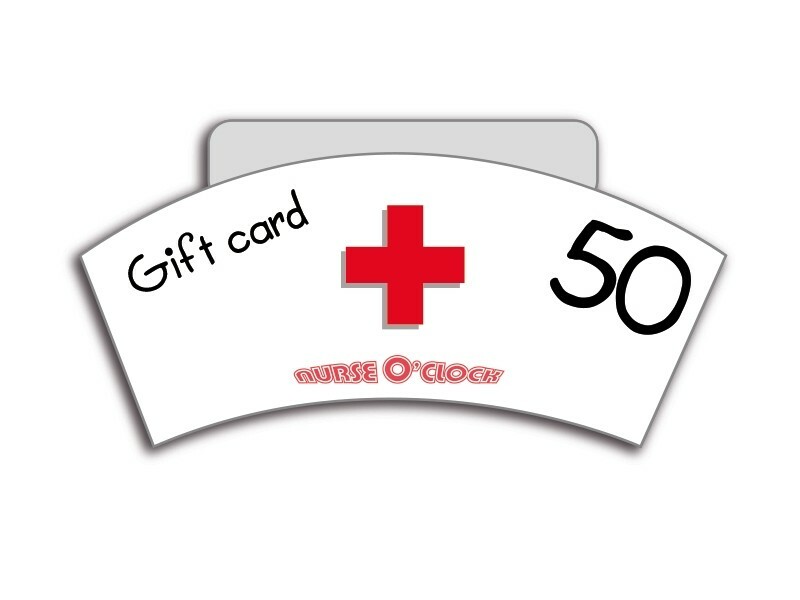 The perfect gift for healthcare personnel, a Nurse O'Clock gift voucher! Are you looking for a gift that makes the receiver really happy? 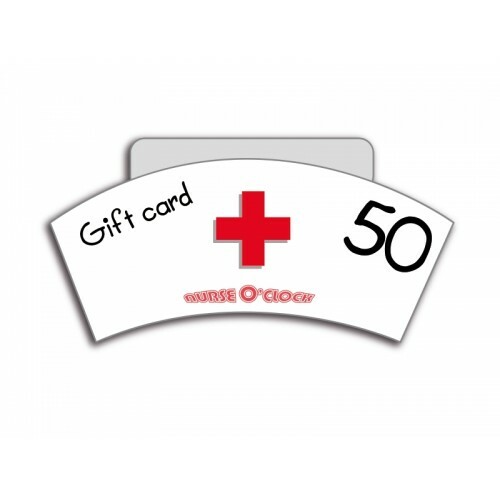 With a Nurse O'Clock gift voucher the receiver can choose his/her own present. To make the voucher even more special we can print your personal message on the voucher. 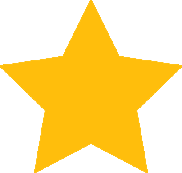 This makes the voucher suitable for every occasion, some for example we can print: "Congratulations with your diploma", "Happy Birthday", "Happy Holidays" or "Thank you for your help". 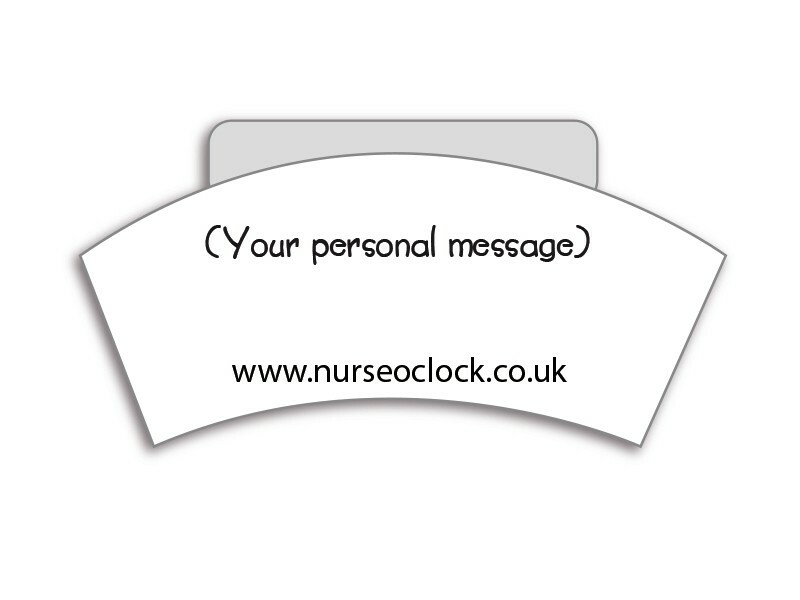 And as a nice touch the Nurse O'Clock gift voucher can stand on a table or desk.